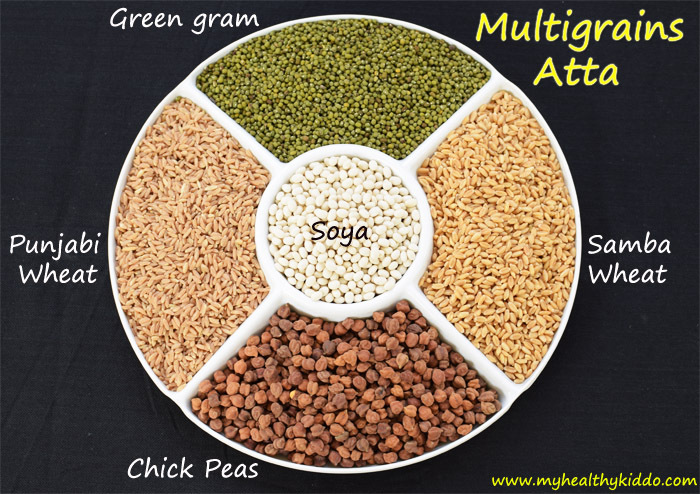 “Multigrains Atta” is fast-selling in supermarkets now. 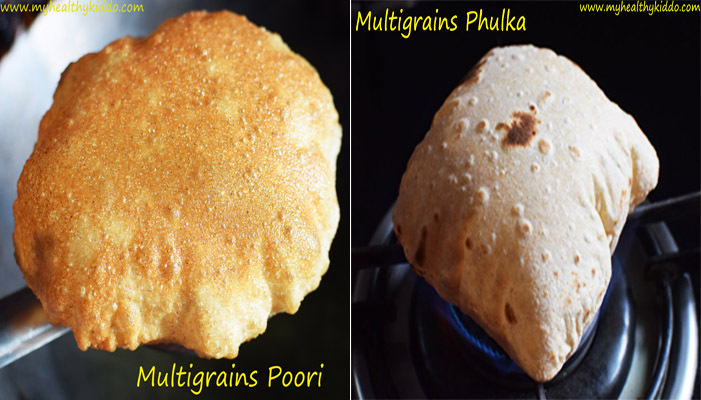 Before popular brands started launching their versions of Multigrains Atta, our grannies were making it, oblivious of patent rights! Shelf life is 4-5 months. Store 5 kg in a large container and take 1 kg in a separate container for daily use. 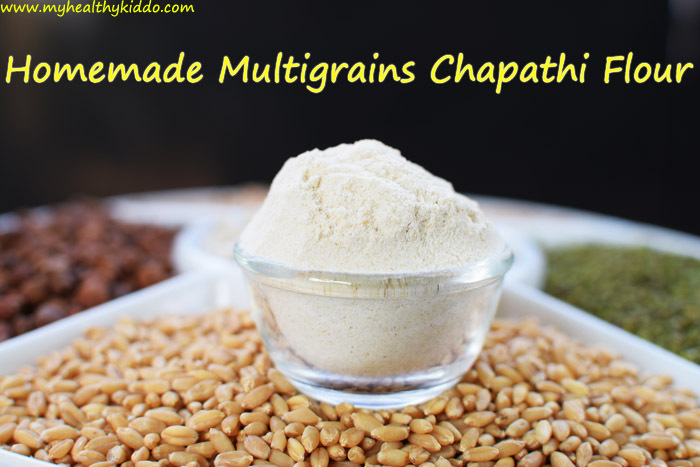 For chapathi, Roti/Phulka, add a tsp of oil and mix well before making dough. Do not add soya more than the specified measure as it would make the outcome chewy! 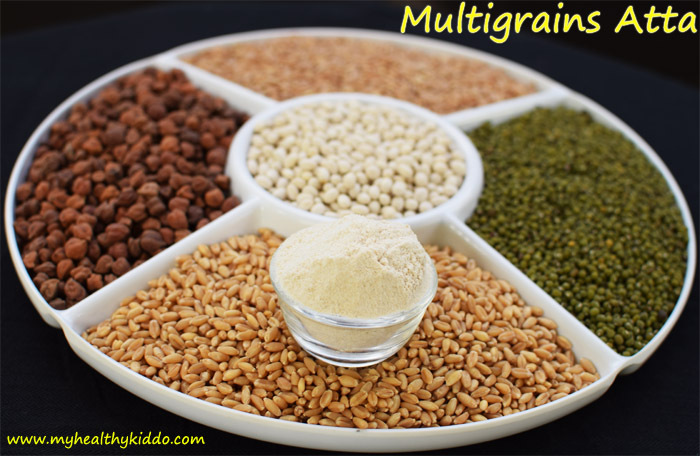 While drying in sun, you shall mix all grains and dry in a single cloth. I have just placed in separate plates for wind-safety. Sieving the flour is optional.